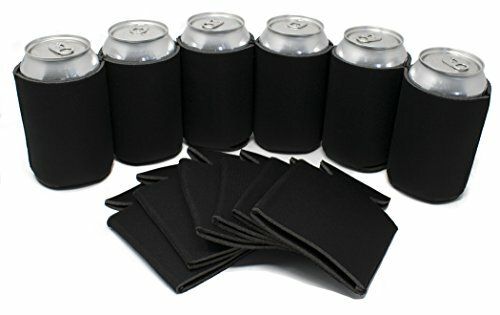 Enjoy colder, crisper beers and sodas with flexible Neoprene can and bottle Can Coolers design with Quality Perfection. Whether you love hosting backyard parties during the summer, enjoy a warm day at the beach, or just love kicking back for some lake fishing, keep your drink cold is essential when the heat starts to rise. That's why we created these premium Quality Perfect Coolies Can Sleeves designed to insulate your can or bottle and keep the contents fresh and delicious longer. 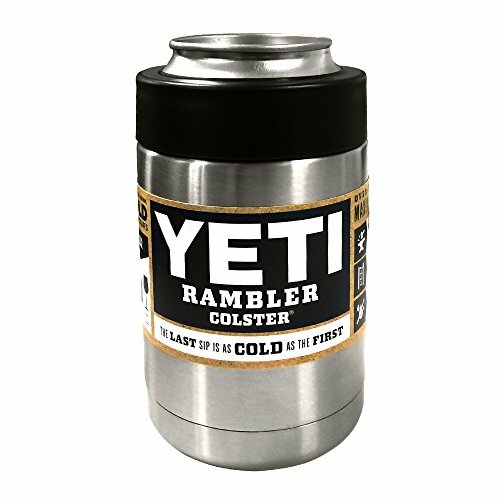 Great for Every Occasion These heavy-duty, flexible coozies are made for long-lasting use and reliability, which is why they're both indoor and outdoor friendly. In fact, you can use these blank Can Coolers for wedding, birthday or holiday parties, bridal showers or family reunions, backyard barbecues or mixers, as novelty or block party gifts, and so much more! Product Details: Neoprene Coolies (Bulk) Insulated, Form-Fitting Design Thinkness: 3mm Feature: Eco-Friendly Fit Cans and Bottles Choose from 2,6 or 12 Assorted Colors Packs, Mr. & Mrs and US Flag Multiple Colors and Collections Available Satisfaction Guaranteed Get a pack of our blank can cooler can coolers today by clicking 'Add to Cart' above and make sure your next party, event, or gathering is truly unforgettable. 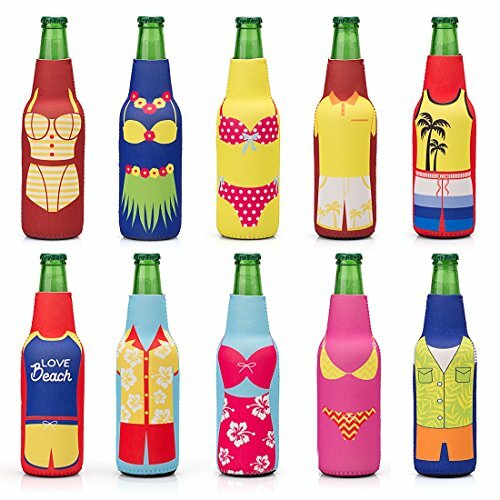 > Dress up and cool down your drink with these fun design, trendy koozie drink holders. 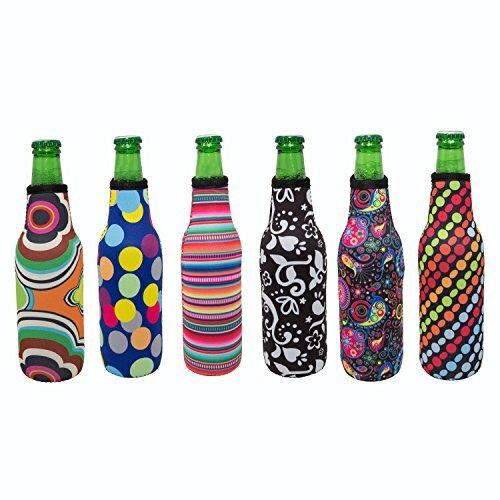 These insulated beer bottle covers help keep your beverage cool and your guest happy. 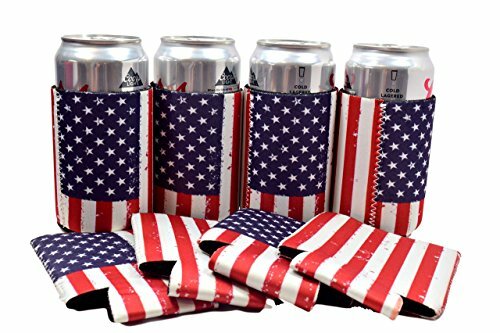 > They are the perfect summer koozy and accessory for the beach, pool, music festival, holidays and any other festive gathering . The six different patterns are sure to add style to any event. > These koozies help your drinks stay cool on those warm summer days and keep your hand warm on those cold winter nights. > Keep one tucked away in your pocket to camouflage the next beer you swipe from someone else's fridge or cooler! > Fits any standard 12oz beer bottle. 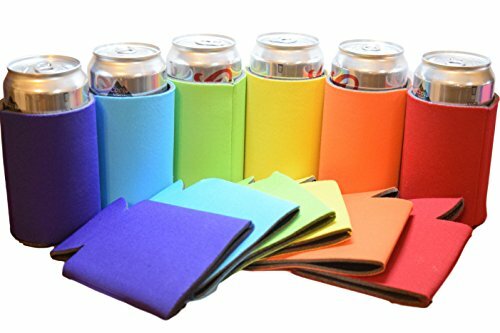 Nobody likes a warm beer, that's why these mixed design, insulated beer sleeves are the perfect accessory for the beer drinker in your life. 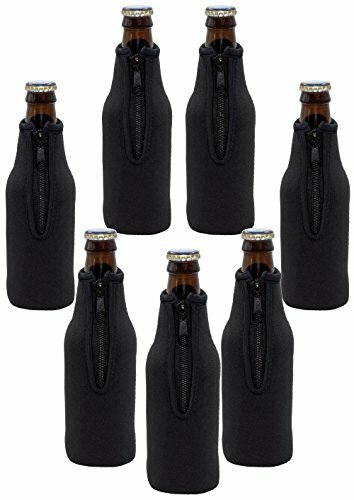 The set comes with 10 sleeves to zip up and cover your favorite bottled drink (one size fits most, standard 12 oz size will fit best). Set 2: Summer Lovin features fun and fashionable summer party outfits (see images for details). 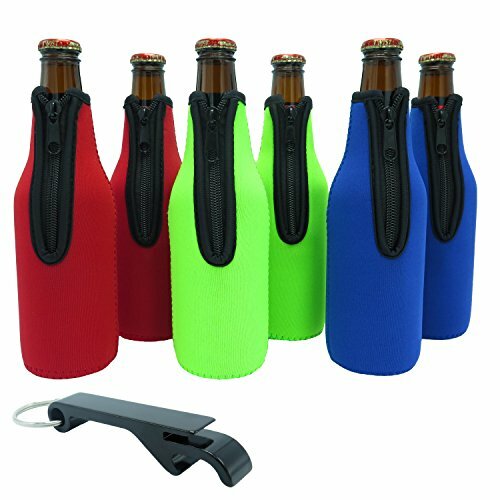 These are made with durable, 3 millimeter thick neoprene material to help keep your drinks cooler, longer. 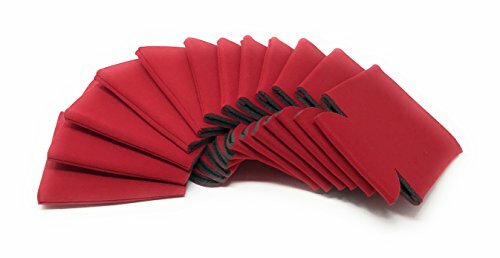 Give them out as gifts or keep a sleeve at all your favorite drinking spots, they also fold flat so you can take them anywhere you might be enjoying a beverage. *NOTE*: Due to differences between monitor displays, actual color may vary slightly from image. Avery Barn is a registered trademark of Remi Collections LLC and is exclusively distributed by Bundle Monster. The Avery Barn trademark is protected by US Trademark Law. PREMIUM QUALITY: These coolers are made of true neoprene, identical to wet-suits, and not foam. Neoprene is a far better insulator and longer lasting. Keep your drink ice cold and your hands warm and dry even in the sun. The stitching has a nice feel in the hand and is very durable. PERSONALIZE THEM: The bottle covers are completely blank allowing you to personalize around and the bottom of the can cover. Use iron-on, vinyl transfer or other methods to create unique party favors. 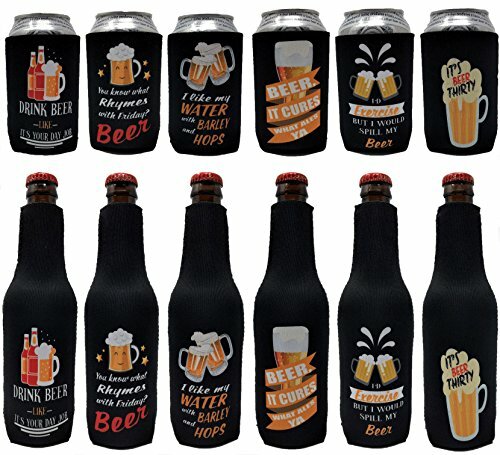 GREAT FOR ANY EVENT: Customize these bottle sleeves for occasions such as bachelor or bachelorette parties, birthdays, graduations, sporting games, fraternity parties or any special event. LOW MAINTENANCE: Washable and folds flat for storage. Copyright © Wholesalion.com 2019 - The Best Prices On Koozies Beer Online.